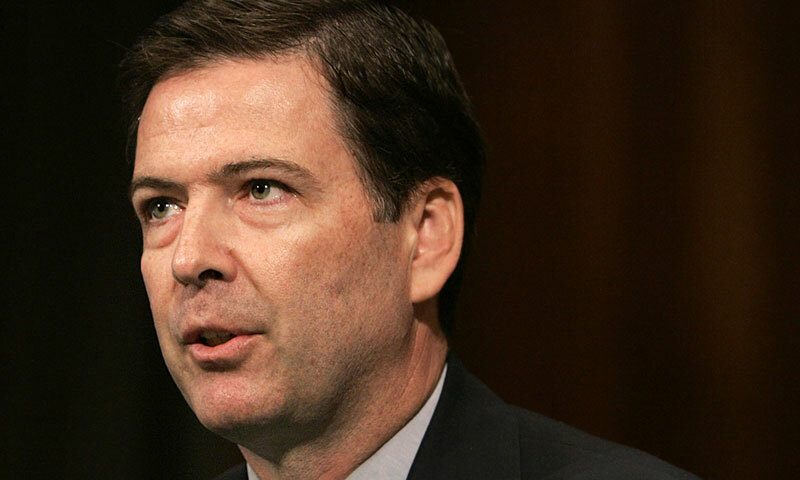 During his sophomore year at the College of William and Mary, FBI Director James Comey ’82 encountered a flyer that changed his entire academic trajectory. The class was in the religion department and taught by religion professor emeritus Hans Tiefel. At the time, Comey was a chemistry major. However, he said that the course’s description intrigued him. He decided to fill a hole in his schedule with Death. By senior year, Comey was a double major in religion and chemistry, writing a senior thesis on theologian Reinhold Niebuhr and televangelist Jerry Falwell and on his way to the University of Chicago Law School. He credits his religion major with forcing him to be open-minded, understand various sides of an argument and focus on language. Comey first arrived at the College determined to follow a premed track. He grew up in Allendale, NJ and applied to the College after hearing about it from a family friend who played basketball for the Tribe. Comey’s freshman dorm was the now-closed Tyler Annex. Later on, he would live in the Bryan Complex. At the time, it also housed the Law School Library, which became his favorite study spot on campus. In the second semester of his senior year, he enrolled in an advanced biochemistry course at 8 a.m. on Mondays, Wednesdays and Fridays in order to complete his major requirements. At that point, Comey had already been accepted into law school. Comey said that he once played a prank on his punctual roommate involving stationary from the Dean of Discipline’s office and accusations regarding a lamp that had been smashed outside the Campus Center. When not studying for class, Comey participated in intramural basketball, football and ultimate Frisbee, volunteered at a nursing home on Monticello Road, and wrote for The Flat Hat. He met his wife Patrice at the College, after she nominated him to run for the presidency of the Bryan Complex dorm council. Comey said that the details of their first encounter are still subject to controversy. He had a better recollection of their subsequent interaction at a meeting designed to solicit candidates to run for office. Running unopposed, Comey won the Bryan Council election. He started dating Patrice a short time afterwards. Professor David Holmes knew Comey well as a student and taught both Patrice and their oldest daughter Maurene Comey ’10. Comey signed up for two of his courses senior year, but Holmes was invited to serve as a visiting professor elsewhere. Comey still took a class on significant books in western religion and bonded with Holmes’s substitute, the late visiting professor John Woolverton. Since his days at the College, Comey served as the United States Deputy Attorney General during President George W. Bush’s administration. He is currently the seventh director of the FBI. Tiefel emphasized Comey’s continuing connection with the College. Comey advised current students to keep an open mind about the courses they take.